Now in its 12th year, the DC Shorts Film Festival is accepting entries for 2015, from filmmakers and screenwriters around the world. DC Shorts turns the spotlight on truly independent short films created around the globe. In 2014, the festival received over 1,200 entries from 51 nations, and screened 135 films from 25 countries in 18 unique showcases over 11 days to audiences of more than 9,000 people. The Festival is competitive and offers several jury and non-jury awards, as well as a prize of $2,000 for the Winner in its screenplay competition. 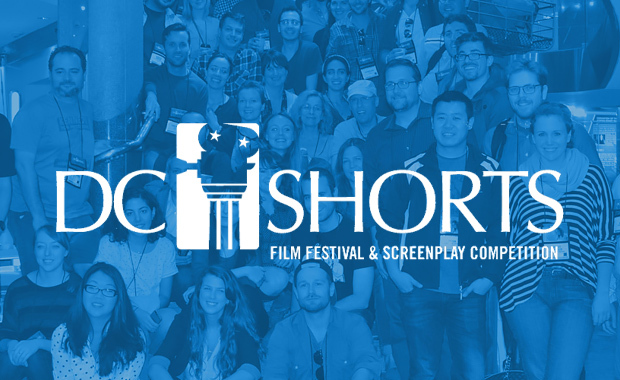 The annual DC Shorts Screenplay Competition is being hosted for the 9th time. In this competition, a panel of readers consisting of filmmakers, screenwriters, and critics review and provide condensed coverage (feedback) for scripts of 15 pages or less. Six finalists are invited to attend DC Shorts and, with the assistance of local directors and agents, cast a live table reading of the script from a bank of actors. The readings are performed in front of an audience, who vote on their favorites. These votes, along with the scores of the readers, determine a competition winner. The 12th annual DC Shorts Film Festival is scheduled for September, 2015. The entry fee is $35 when submitted through dcshorts.com; $40 when submitted through their submission partners.